Avalon Waterways is now booking amazing river cruises for 2018! Avalon Waterways invites you to see the world your way. Unexpected. Unhindered. Utterly unique river cruises. 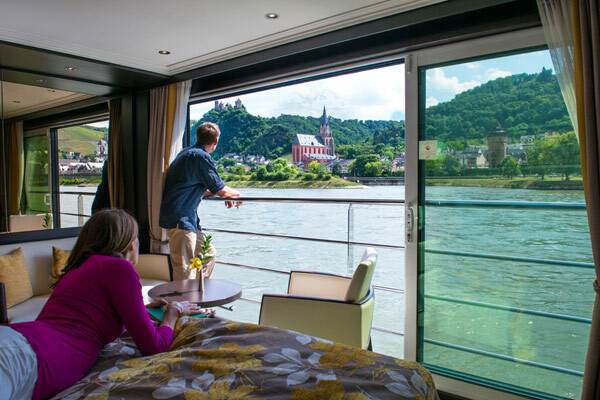 For those who have always looked deeper, Avalon Watereways has redefined the window of opportunity with river cruising’s only Open-Air Balcony SM. Featured in their Panorama Suite SM on the Suite Ships ® of Avalon, these wall-to-wall and floor-to-ceiling windows open wider than any other in the industry, blurring the line between outside and in and creating an open invitation to discover and dream.